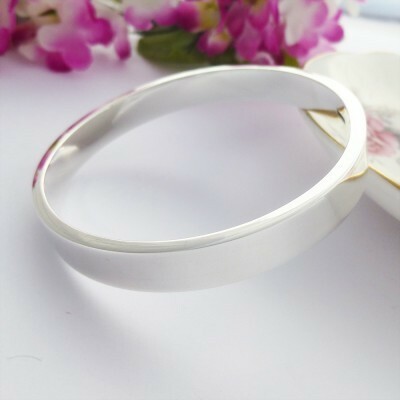 The incredibly popular Isla, now available in large wrist size, a rectangular cross section bangle that is chunky with the quality weighty feel that you would expect. Finished in highly polished sterling silver, the Isla is a statement piece! 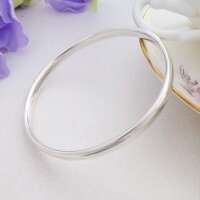 If you are looking for a weighty bangle with the assurance of being hand made in the UK, hallmarked 925 sterling silver and made to the highest quality standards, the Isla is perfect. 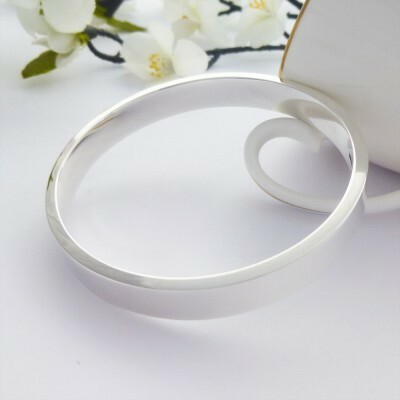 This chunky bangle for large sized wrists has a rectangular cross section that is 10mm wide and 4mm deep, chic and chunky with square edges! The Isla is a popular style with many of our Guilty customers, classic and simple in design and yet offering a piece that has style and weight. The Isla is 67mm in diameter to fit most large wrist sizes. 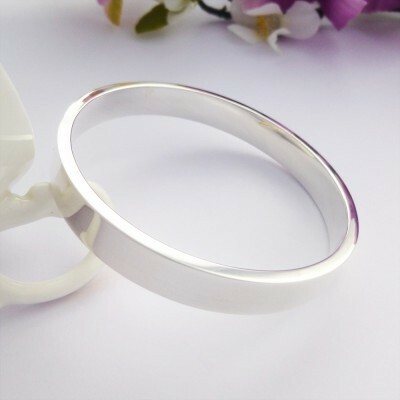 Subject to availability, the Isla is available in small wrist, regular wrist and large wrist sizes and is a suitable for engraving, a perfect personalised silver bangle. 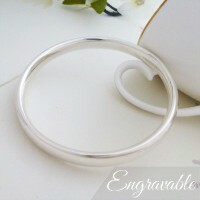 The Isla large bangle has a rectangular shaped section that is 10mm wide and 4mm deep. 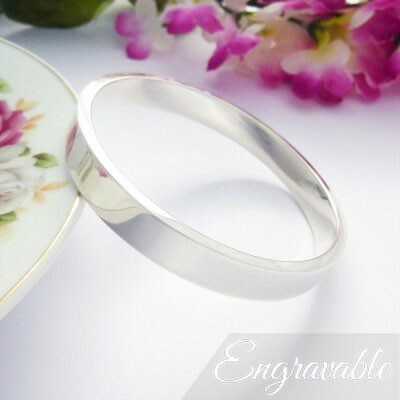 Hand made in the West Country, exclusive to Guilty and hallmarked 925 sterling silver.